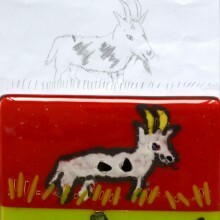 This painted and fused glass quilt on the theme of ‘Food and Farming’ was made by 180 pupils aged 8 to 11 during a recent residency I ran at their school. 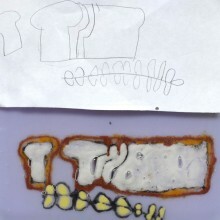 I adapted the design from a traditional Pembrokeshire quilt in the Jen Jones Collection. 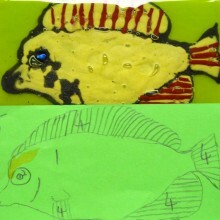 I worked with 6 classes, each class and gave them each a colour and a category within the overall food theme. 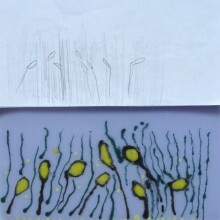 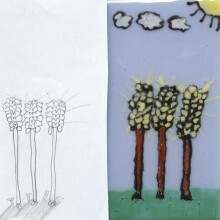 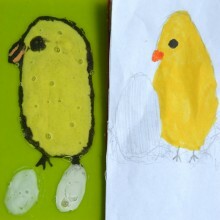 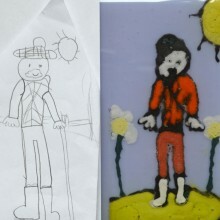 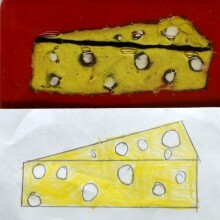 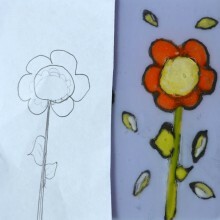 The children did their individual designs which they then transformed into tiles which I fired in my kiln. 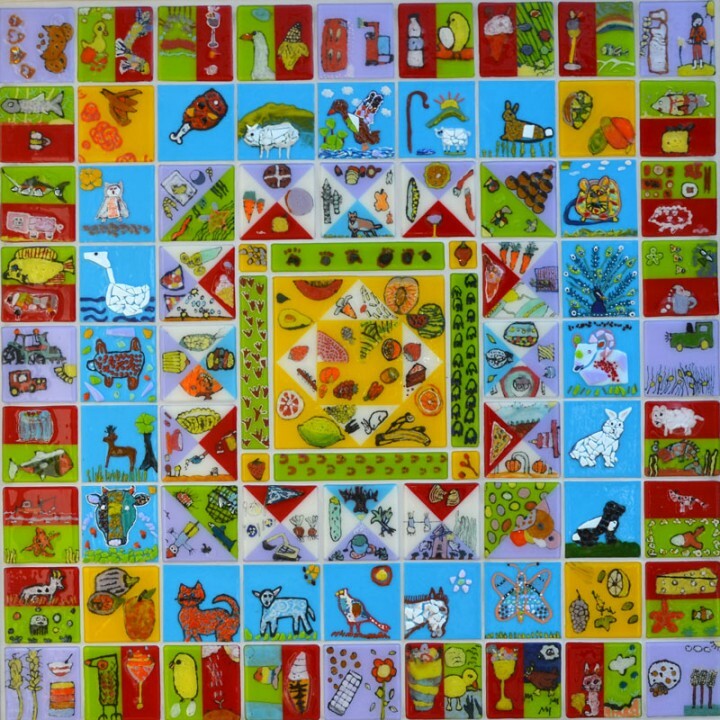 The quilt is framed in a stainless steel bespoke frame and is an permanent artwork sited on the front wall of the school, and serves as a testament to the creativity of the children and their ability to work with an artist to bring together their individual ideas and styles to create a stunning artwork for their school. 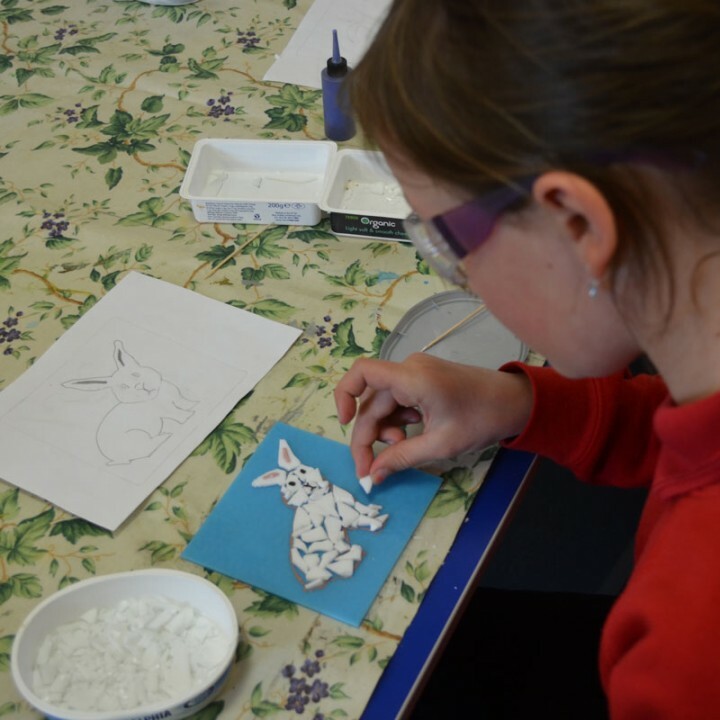 A pupil sticking pieces of Bullseye glass on her rabbit design in preparation for firing in my kiln.